The recent funding and acquisitions in kid's products market have set the stage for the concerned retailers and have once again shifted focus to this segment once overlooked. 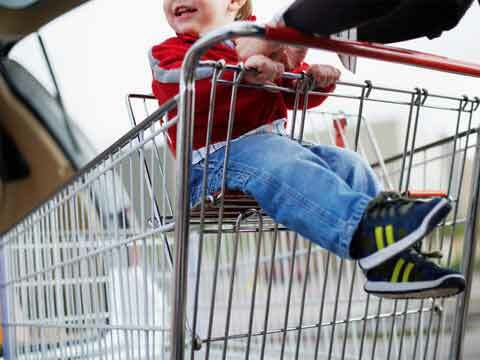 New Delhi: The recent funding and acquisitions in kid’s products market have set the stage for the concerned retailers and have once again shifted focus to this segment once overlooked. FirstCry, the Omni-channel retailer raised whopping USD 26 million (Rs 160 crore) in fourth round of funding. Further, Mumbai based baby care and kids’ products etailer Hopscotch gained USD 11 million in its second round of funding. While these fund raisings witnessed huge capital flowing into market, global biggies also reached out to India, for instance, Facebook co-founder Eduardo Saverin, Los Angeles based investor Velos Capital, Valient Capital partners among others. BabyOye, the Pune based etail brand was acquired by business conglomerate Mahindra Group. Founded by duo Sanjay Nadkarni and Arunima Singhdeo, the company last raised funds in early 2013, shortly after it acquired its Bangalore-based rival Hoopos. The baby care products market in India is valued to be approximately $10 billion, out of which a niche space of 5 per cent is acquired by online players. As per a research done by RNCOS E-Services Pvt. Ltd in April 2013, Baby and Children’s product market is growing at a rate of 17% per year and would grow to $26.2 billion by the end of 2017. Starting from the product to the set of target audience and the marketing strategy to branding, all becomes a different ball game while mentioning baby care products market. Keeping up with the competition, the online players are set to woo parents by roping international brands for various sections including apparel, feeding range, baby care products etc. FirstCry has announced to partner with five new international kidswear brands, including Pinehill and Ed Hardy, following a tie-up with Fisher-Price in December to bring its diapers and feeding range to India.